The Red Sox will recall left-hander Drake Britton before tonight's game against the Tampa Bay Rays. A change in the Collective Bargaining Agreement enacted in 2012 allows teams to carry a 26th player in a doubleheader, so there is not expected to be a countermove. Manager John Farrell confirmed the move following game one of the Red Sox doubleheader, stating that Britton is available and is stretched out to 40 pitches. The move will add depth a bullpen that used three pitchers in the opener. Britton, 24, got his first major league experience in 2013, appearing in 18 games out of the Boston bullpen. In 21 innings, he had a 3.86 ERA and struck out 17 while walking only seven. Primarily a starter in the minors before last season, Britton has transitioned to a full-time relief role this season with the PawSox. 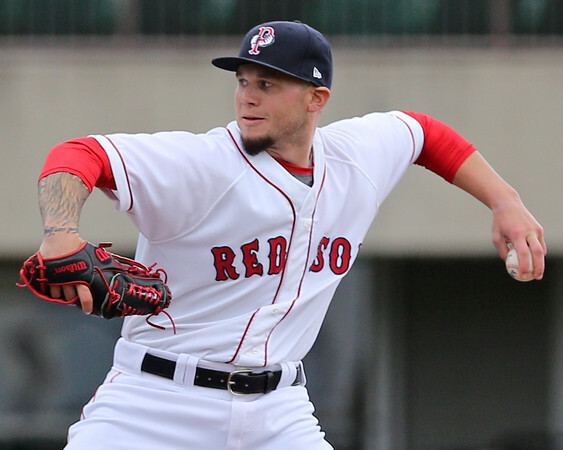 He appeared in 10 games out of the Pawtucket 'pen, allowing three runs (two earned) in 14 innings. Britton is currently rated the #11 prospect in the system by SoxProspects.com.